Are you someone who is able to see the good in every situation, or do you tend to focus on the negative bits? Well, if you struggle to look at the bright side of life, then here’s the bad news: studies have shown that pessimism has been linked to a decrease in physical functioning, mental problems, chronic sickness, and pains. It has also been found that study subjects who upheld an optimistic attitude had fewer medical troubles than their pessimistic counterparts. 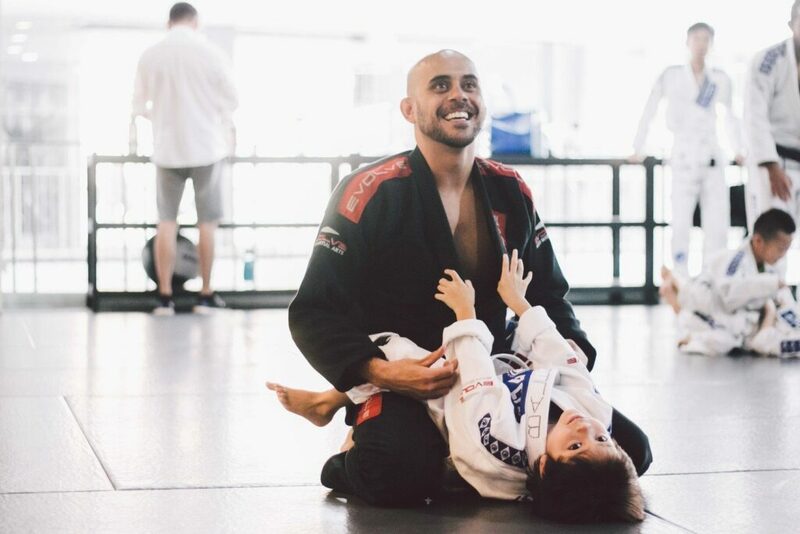 Now, before you start feeling down and thinking gloomy thoughts, here’s the good news – there’s actually a way to change your view and become a more optimistic person: by training martial arts! 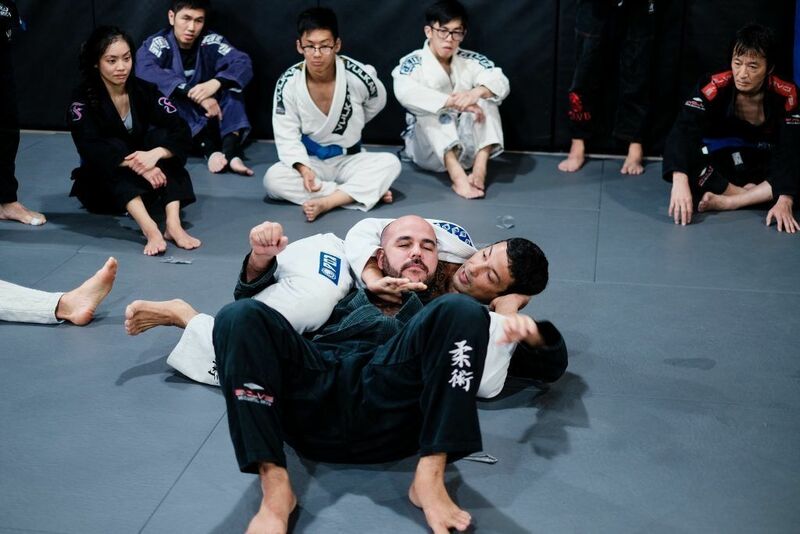 With so many different techniques to grasp, there’s never a dull moment in BJJ class. Whether we like it or not, we all have our weaknesses. The question is, do you actually try to turn them into strengths? If you constantly keep within the boundaries of your comfort zone and set those limits for yourself, then you’re definitely not going to grow – be it as a martial artist or as a person. 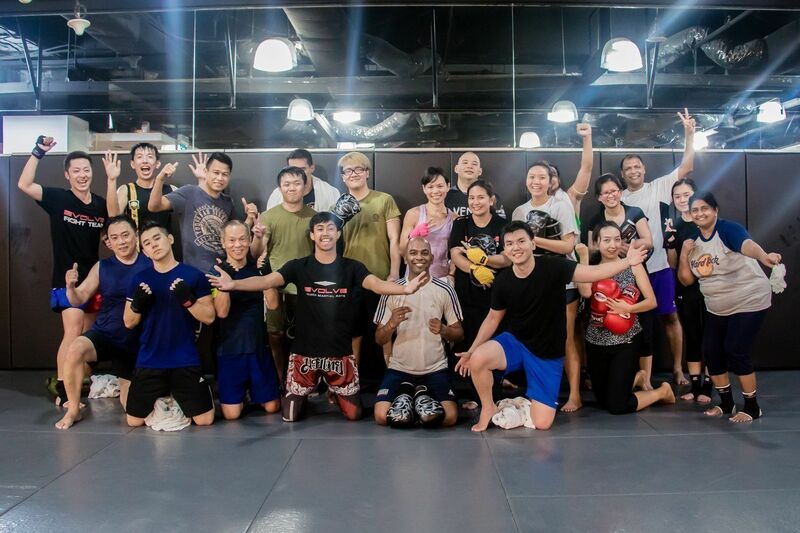 Training martial arts puts you in all kinds of situations that force you to adapt quickly and more importantly, encourages you to reflect on your mistakes and grow from them rather than harp on them. This will then carry over to everyday life, and once you know you have a problem – perhaps being too negative – you’ll put in the effort to change your mindset and at least try to be a more positive person. Muay Thai is one of the most powerful and effective martial arts in the world. There’s no doubt that martial arts will increase your confidence by leaps and bounds. Think about it: you will eventually have the necessary skills to protect yourself and your loved ones in the face of danger. On top of that, you will learn to thrive outside your comfort zone and also have a nice, toned body. If all these things don’t build your confidence, we don’t know what else will! When you gain this confidence, you will be a more optimistic person because you will stop second guessing yourself – instead, you will believe in yourself and trust yourself with the decisions you make. 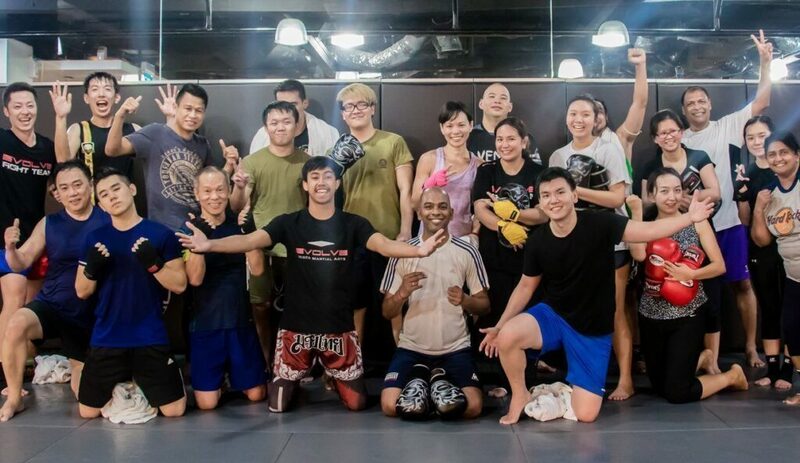 Another amazing Muay Thai class with World Champions at Evolve MMA. Ever noticed that you felt much better after an intense workout at the gym, even when you had a crappy day before that? Well, this is all thanks to the endorphins that get released when you engage in physical activity. If you haven’t experienced this endorphin rush before, then it’s time to hit the gym and experience it for yourself! Apart from burning those calories, martial arts is also a healthy outlet for you to vent your stress. So instead of being cranky and taking out your frustration on others, you can actually get the negative energy out of your system by training! When this becomes a habit, you will notice that you’re overall a much happier person. 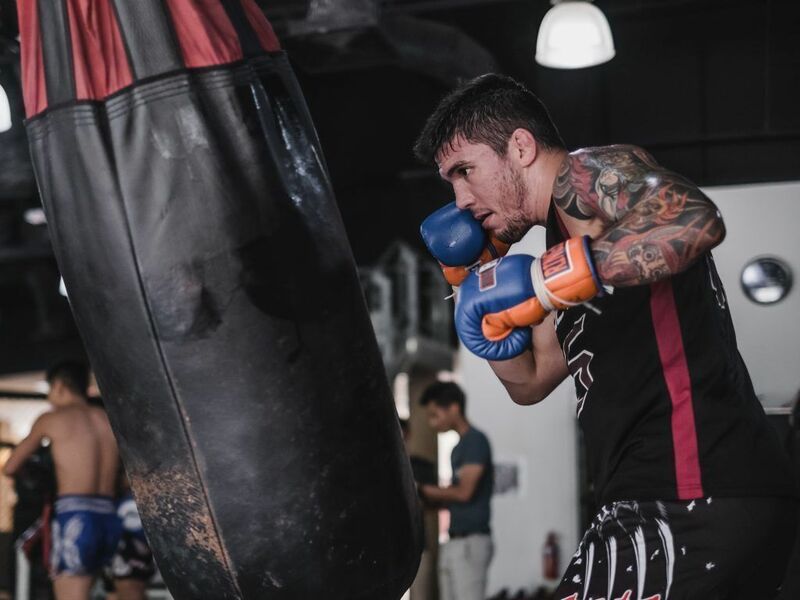 BJJ National Champion Thiago “Guli” Kozama teaches BJJ at Evolve MMA. As much as we hate to admit it, we sometimes cast the spotlight on our flaws and beat ourselves up when things don’t go our way. What we don’t realize, unfortunately, is that we also have our good points. Hence, we sell ourselves short and end up feeling lousy. However, training martial arts could turn this around. As mentioned earlier (see #2), your confidence will grow, and you will also understand that you’re a work-in-progress and that what ultimately matters is that you keep on striving to become a better version of yourself every day. 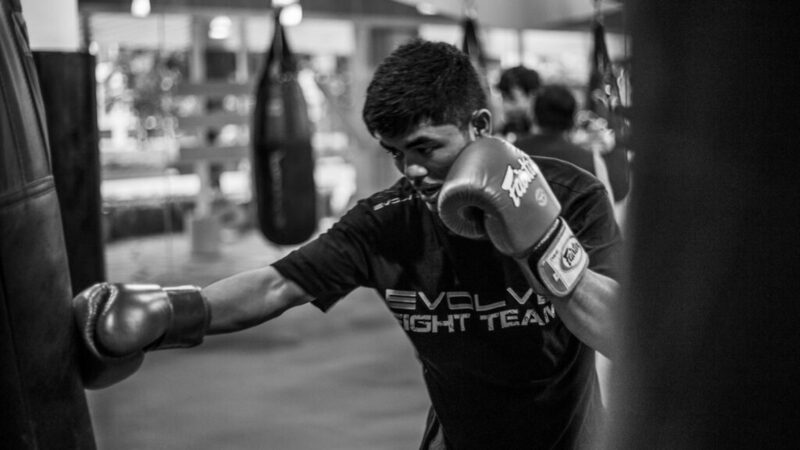 BJJ World Champion and ONE Superstar Bruno Pucci works on his striking at the Evolve Fighters Program. 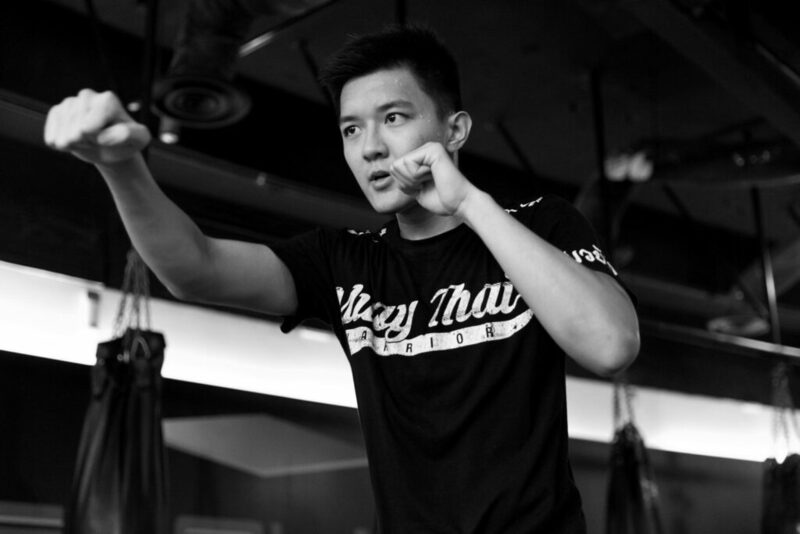 It’s no secret that you will get stronger when you train martial arts. After all, the many hours of training will result in your body gaining muscle and strength. However, you don’t only get stronger physically – you’ll also toughen up mentally, especially after overcoming your training obstacles. Once you grow stronger, emotionally and mentally, it will take a lot more to bring you down. That means you won’t get beaten so easily and more importantly, you’ll stop sweating the small stuff. Hence, you can then focus your energy on the things that matter, and get the most out of every day. Are you now convinced that martial arts will help you become a more optimistic person? Go on, try it and see for yourself!